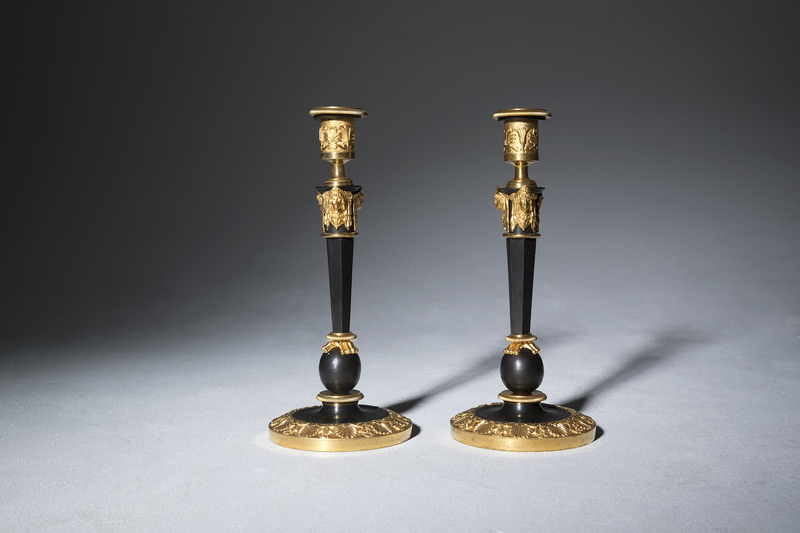 A Russian pair of ormolu candlesticks, early 19th century. In ormolu and patinated bronze, probably Moscow. Each candlestick with a patinated faceted tapering steam, decorated with female masks and headed by a lotus and palmette decorated candleholder. A circular spreading base decorated with lotus flowers and centered by a sphere under paw feet. 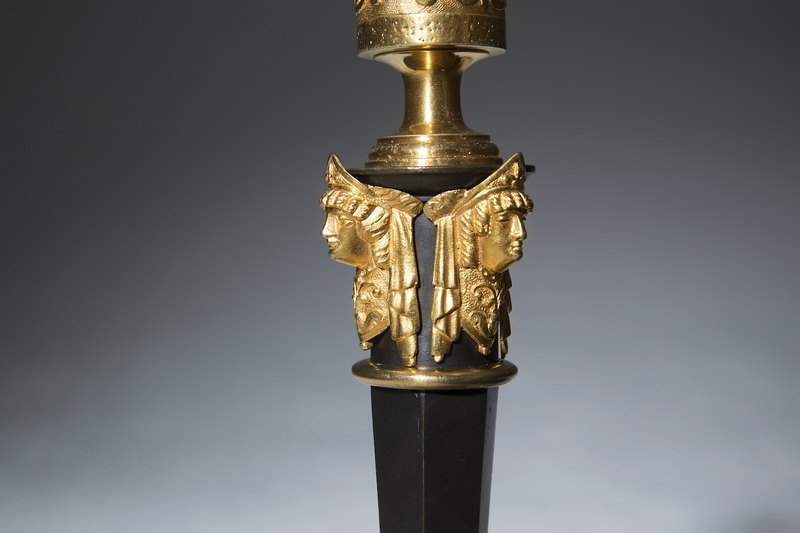 A pair of identical candlesticks can be found at the Historical Museum in Moscow.